“This is Martin Bonner” screens at 6:30 p.m. Saturday at Sundance and 2 p.m. Sunday at the UW Elvehjem. Writer-director Chad Hartigan will talk at both screenings. The 15th annual Wisconsin Film Festival starts today! And while I’ll be shifting from “preview” mode to “review” mode in just a few hours, I couldn’t let one lovely little gem of a film slip by unmentioned. 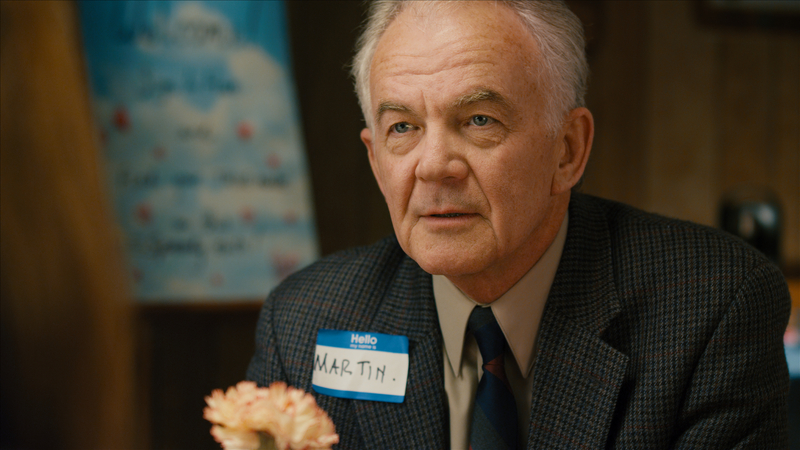 In most movies, Martin Bonner would be a memorable minor character, the sort where you’d idly wonder “What’s that guy’s story?” Chad Hartigan’s second feature gives Martin that movie, and the results are quietly astonishing. Martin (Paul Eenhoorn) is a man in his 50s who lives in Reno, Nevada and works as a counselor for inmates at the local correctional facility. Eenhoorn, a fine Australian character actor, plays Martin as a good man, but one who keeps the world somewhat at a distance. As the film unfolds, quiet conversation by quiet conversation, we learn that Martin self-detonated his old life in Maryland — getting divorced, getting fired from his job, losing his faith — and has come across the country to — start again? Or simply to spend the rest of his days alone, away from the prying eyes of everyone who knows him? Hartigan, and Eenhoorn’s warm performance, keep us guessing. Martin meets Travis Holloway (Richmond Arquette), a recently paroled inmate in his program. Travis is also trying to restart his life, starts attending church, tries to reconnect with his grown daughter. Even though Travis is perhaps a decade or so younger than Martin, he seems older, wearier. The two men are facing the world alone, the sum of the bad choices they’ve made etched in their faces. Slowly, they become friends, but the wary sort of friends that middle-aged men make, when they’re not sure if they have the room in their lives for another connection. “This is Martin Bonner” tells its story at its own pace, which might seem frustratingly slow to some, but felt just right to me, riding the real cadences of everyday life. Both men spend a lot of time alone, with their thoughts, and the film reflects that almost monastic existence in its tone. But then, all of a sudden, Hartigan includes a scene that’s so stunningly lyrical as to take your breath away, such as Martin refereeing a girls’ soccer game, the field nestled right up against the looming mountains, or an incredible 360-degree pan of a bleak highway scene, all motels and storage tanks, the future that Travis sees for himself. Both Eenhoorn and Arquette give layered, honest performances, not straining against expectations so much as just allowing Martin and Travis to be authentic human beings. The film pulls you into their lives, and when the time came for the screen to finally fade to black, I was so invested in their story that it was kind of a shock to see it end.